Summer is here, but how safe are some of the most popular warm-weather activities in Southern California? According to a recent article in ABC News, a San Diego toddler nearly died during a drowning accident at a pool party. According to the California Department of Developmental Services, drowning is “a leading cause of injury-related deaths among children under the age of five” in our state, and near-drowning accidents frequently result in permanent disabilities. How can you keep your children safe when swimming is involved? It’s important to know about water safety, but it’s also essential to know the signs of secondary drowning. When Lindsay Kujawa took her son Ronin to an outdoor pool party and turned her back “for maybe five seconds,” the toddler fell into the water, according to ABC News and Good Morning America. Kujawa explained that she immediately pulled Ronin out of the water “after about 20 seconds,” and the young boy “seemed unscathed.” Kujawa specifically emphasized that her son hadn’t turned blue and didn’t seem to be choking on water. As a result, she assumed he was just fine and that the tumble into the pool hadn’t caused any injuries. However, when Ronin fell into the water, some of the fluid got into his lungs, which “prevented the tiny air sacs from moving oxygen into the bloodstream.” Shortly thereafter, the toddler “was having difficulty breathing.” Without medical attention, in fact, “his heart could have stopped.” Ronin suffered from secondary drowning. 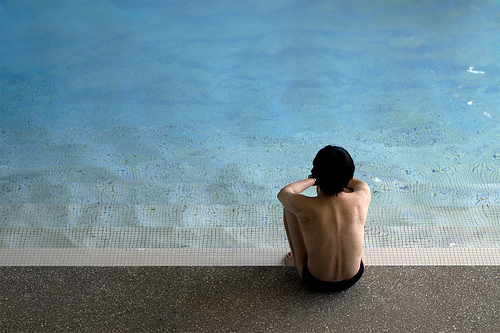 While secondary drowning isn’t especially common, according to Dr. Paul Pepe, who is chair of emergency medicine at the University of Texas Southwestern Medical Center, “it does occur.” Indeed, Pepe emphasized that “even children who are resuscitated and rushed to the emergency room after falling in a pool can develop pulmonary edema in the first three or four hours after taking in water.” As a result, if your child sustains a fall into a pool and potentially takes in water, you should visit an emergency room, particularly if you notice any breathing problems, coughing, or general lethargy. The recent drowning accident in San Diego involved secondary drowning. What exactly is secondary drowning? According to the National Institutes of Health (NIH), secondary drowning, or “near-drowning,” is a syndrome that occurs after immersion in water. In medical terms, it’s a “deterioration of pulmonary function” that happens after a child has been immersed in a pool, for example. Why is it so dangerous? For one, it happens after most parents assume their kids are in the clear. An article released by the NIH emphasizes that symptoms of secondary drowning are “usually rapid,” but they’re often “characterized by a latent period of one to 48 hours of relative respiratory well-being.” In other words, a child can have no symptoms of secondary drowning immediately after being immersed in water, but life-threatening symptoms can appear up to 48 hours after the incident. Drowning accidents happen far too often in the San Diego area, and victims often sustain serious and life-threatening injuries. If you or a loved one has been injured in a drowning accident, you may be able to seek compensation for those injuries. An experienced California drowning accident lawyer can examine the details of your case today.